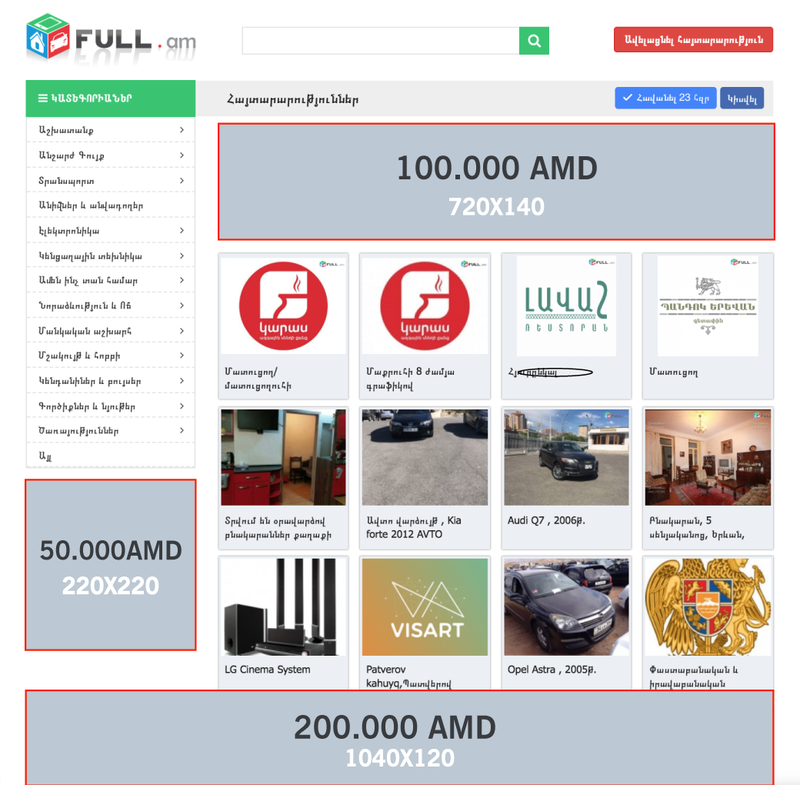 Full.am is a site for free announcements, which, according to the authoritative SimilarWeb service, occupies 2nd place in Armenia in this segment. 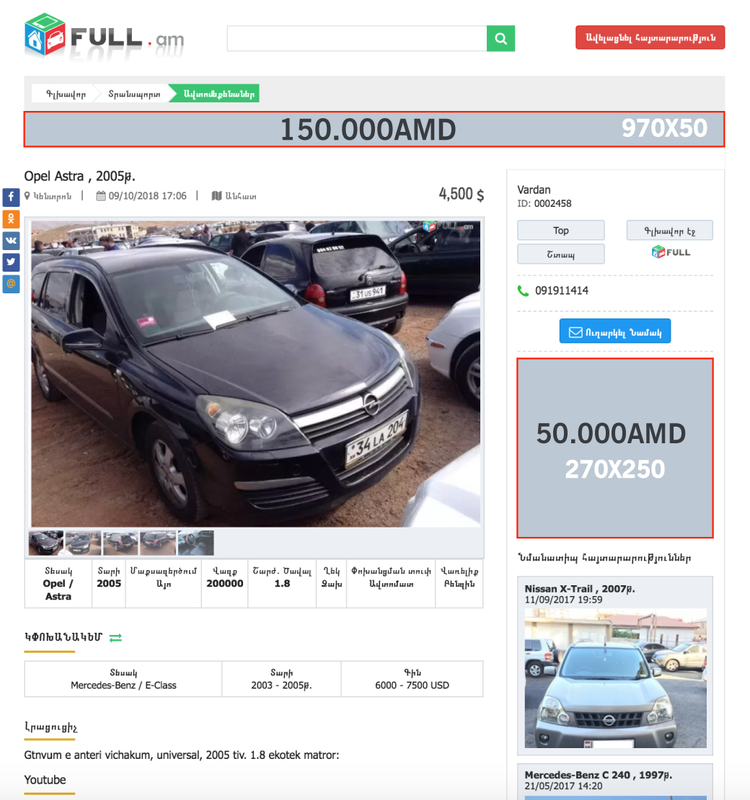 By placing ads on Full.am, you will have the opportunity to effectively present your product or service. You can see the advertising zones in the interactive image below: here are the pages for ads including their places, sizes and prices.